During December, the whole of North India gets covered with fog, so thick that it is a great scientific mystery why North Indians haven’t evolved echo-location yet. So if we had to venture anywhere during Christmas, it had to be south. South is where we headed to use up the remaining vacation days of the year. To be precise: Christmas holidays of 2013 saw us travelling down the spine of Karnataka checking out its heritage sights. A monotonously slow train ride brought us to Bijapur from Pune. When Mughals where lording over most of North India, south was being lorded over by five mutually warring Deccan Sultanates. The largest and biggest of these were the Adil Shahis of Bijapur. 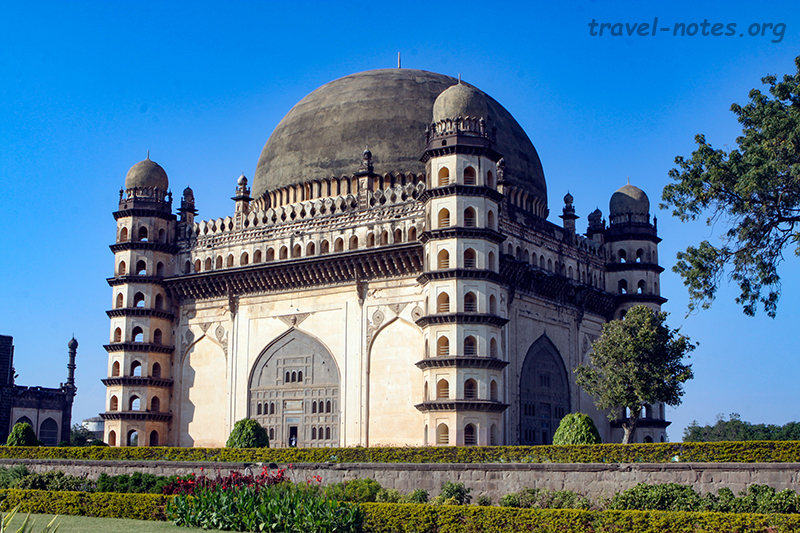 Befittingly, their architecture is also large and big and it does not come any larger and bigger than the Gol Gumbaz. The mausoleum of Mohammed Adil Shah and his entourage is capped with a 44m (external) diameter dome, large enough to convince everyone that it is second largest in the world after Vatican’s St. Peters. But all those who are convinced have stopped counting after 1900s when every self-respecting sporting arena has started capping itself with larger domes. Second largest or not, it is mighty impressive, and so are the views from the top and the echo inside of it. While Gol Gumbaz stomps its authority on the viewers, the nearby Ibrahim Rauza woos them by its elegance and beauty. 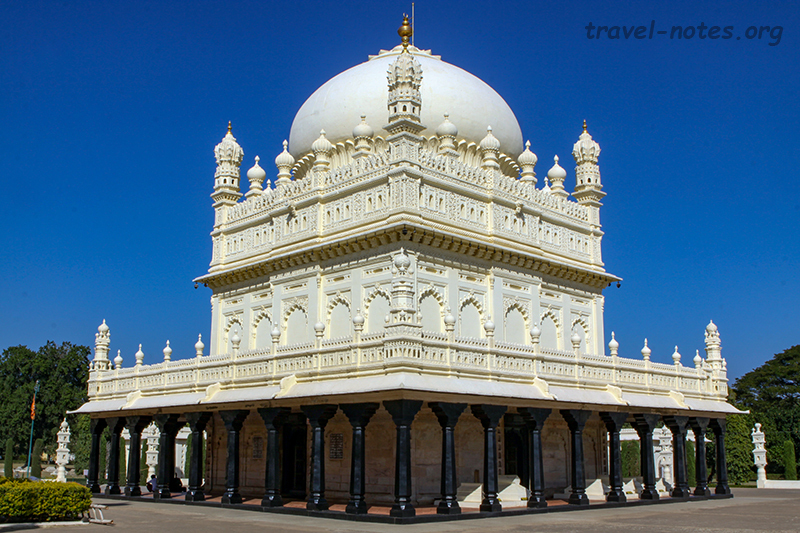 The mausoleum of Ibrahim Adil Shah II (and his entourage) is one of the most graceful monuments of the country. Bijapur has a few more sights, none of which is even worth a footnote, and we covered it all on a tonga, the lazy horse ensuring we took all day in doing so. A thousand years before the Deccan Sultanates, the region was lorded over by the Chalukyas who built their capital at Vatapi, present day Badami, our next destination. Chalukyas’ legacy in Badami is a series of rock cut caves containing some spectacular images of Shiva, Vishnu and their multitude of avatars. The carvings of Narasimha, Trivikrama, Varaha, Nataraja and Seated Vishnu are absolutely spell binding. The builders also had the foresight to make them over 10 feet tall and place them above eye level so that the tourists can have a clear view of them over the top of bobbling heads of hundreds of school kids who storm this place in winter. When they were not carving out caves, Chalukyas seemed to have spent their time experimenting with temple architecture. Their two great laboratories were Pattadakal and Aihole, both located within 40 kms from Badami. These two towns are filled chock a block with temples. Being able to compare Dravidian, Nagara, Vesara, Rock Cut and hoards of other styles that simply never caught on right side by side is absolutely priceless experience. During the time of Deccan Sultanates, southern Karnataka was lorded over by the Hindu Vijayanagar empire, which pretty much got by at the expense of mutual distrust between the sultanates. Sultanates eventually ganged up and crushed the Hindu kingdom at the battle of Talikota, leaving the capital Hampi in ruins. 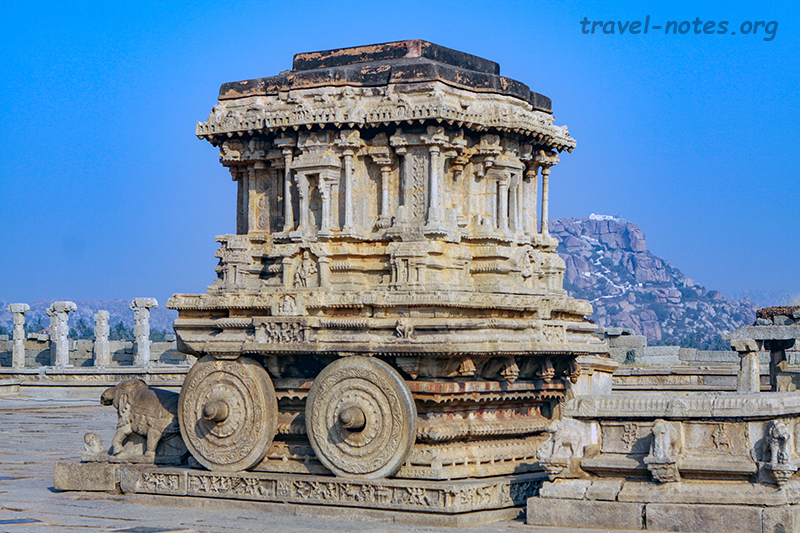 Hampi was a sprawling medieval city left suddenly in a ruined state and has remained so ever since. So the place has everything that a ruin addict can ask for. If you are into temples, there is the Vittala with its stunning stone chariot and musical pillared hall, Virupaksha with its majestic gopuram, Hazara-rama with its never-ending panels of Ramayana images, Krishna and the Underground Siva temple with its ornate pillars and the wonderfully remote Achyutaraya temple where you are sure to find yourself alone in one of its long corridors. If you are into royal residences, there is the Queen’s indoor bath, a well preserved step-well, beautifully crafted lotus mahal, mayan-style royal platform and a picture-perfect elephant stables. If you are into monoliths, you can choose between 8 ft Sasivekalu Ganesha, 10 ft Badavalinga, 12 ft Kadalekalu Ganesha or the iconic 22 ft Lakshmi Narasimha. If you are not into ruins at all, you can either float down the picturesque Tungabhadra or climb one of the bounder filled hills to catch a sunrise or a sunset to die for. In little less than two days we managed to check off everything on these lists and headed off to Bangalore to spend the weekend with Aparna’s parents. Our second leg started off with a drive to Mysore. When the British lorded over the whole of India, they did so by partnering with some princely states. One such state was Mysore under the Wodeayars. Since they cozied up to the British, the Wodeyars could amass enough wealth to build the most sumptuous palace in the nation. After wading through a sea of humanity, we managed to take a quick tour of the palace and headed off to Srirangapatna, capital of Hyder Ali and his son Tipu Sultan. When the British were finding their feet in India, Hyder Ali had managed to oust the Wodeyars to become the ruler of the region. All the British had to do was to defeat Hyder Ali and Tipu Sultan to convince Wodeyars of their usefulness and in doing so, they also managed to deliver a death blow to French interests in the region. Impressive murals in Tipu’s summer palace, his white onion domed mausoleum and what is left of the fort used up most of our following day. We spent the remaining time to see the famed 1100 year old 4.5 m long Ranganatha (reclining Vishnu) after whom the whole town has been named. This is the first of series of five Ranganatha temple that dot the entire length of Cauvery river. It is always a great mystery to me why an omnipotent entity needs to rest so much. Rest is exactly what was denied to us mere mortals that night, incidentally the new year’s eve, when a bunch of teenagers decided to bring the town down using fire crackers. They probably thought that 2013 would leave us only if we scare it away using sufficient smoke and noise. The smoke and noise not only did successfully scare away 2013, but also all the boatmen who is supposed to man the waters of Ranganathitu bird sanctuary, a fact which we discovered only after making our way to the sanctuary the following morning. After clicking some pictures of faraway nesting birds from the comfort of the boat jetty, we decided to head towards things that don’t get easily scared of fireworks. 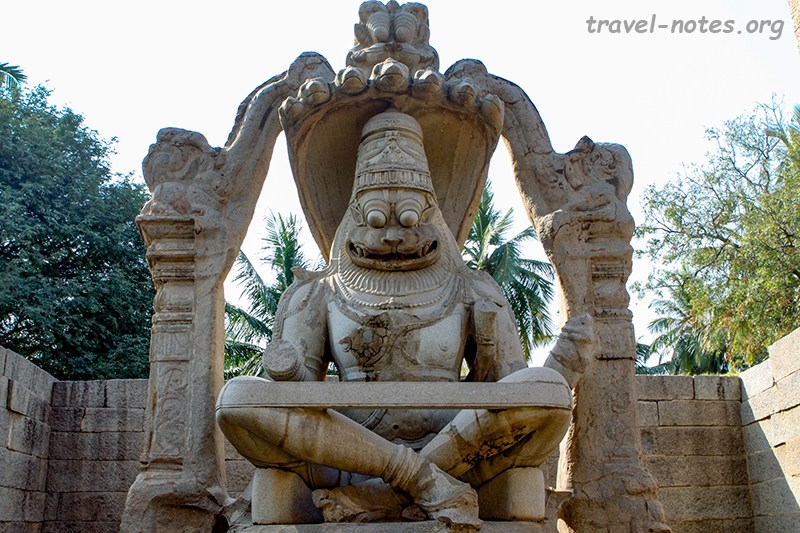 One such thing is a temple in Melkote, located at about an hour’s drive from Srirangapatna. Ornate pillared marriage halls are the signature pieces of Vijayanagara temples and these pillars don’t come any more intricately carved than the ones in Cheluvanarayana Temple in Melkote. An hour further from Melkote is Shravanabelagola where atop a hill stands world’s tallest monolith, 57 ft tall statue of Bahubali. A stiff 600+ step climb brought us face to face (well, our eye level barely reached his ankles) with a serene looking Bahubali enjoying one of the best views in the region. The following morning, we drove to Belur, the final destination of our trip. For about 300 years immediately preceding Vijayanagar, Hoysalas got to lord over South Karnataka. 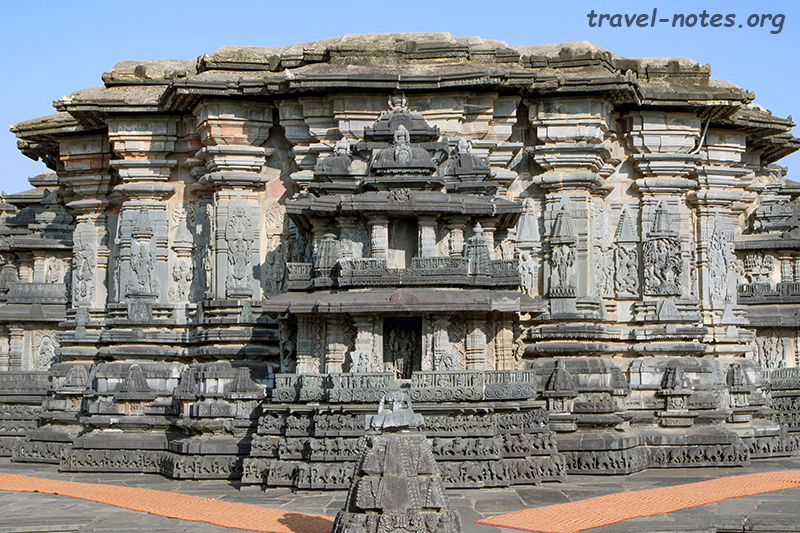 Hoysalas were master temple builders and four of their masterpieces can be found here in Belur, in nearby Halebeedu and further south in Somnathpur. Sometimes collectively referred to as Khajuraho of the south, these temples are covered with intricately carved images of gods and goddesses in gravity defying postures. This region is blessed with easy to carve Soapstone and the Hoysalas have put them to great use by carving sculptures that would be a challenge to replicate using paper and scissors. It is a pity that their zenith coincided with Ala-ud-din Khilji’s push towards Deccan and some of their greatest work of art has remained unfinished ever since. After spending two weeks in Karnataka, despite this being our second trip to the state, we finished our trip with still lot more left to see in this region. That has to wait for another December. It is now time to go back fix all the bugs that I introduced last year and add enough this year to keep the cycle of software universe going. Click here for more photos from Bijapur. 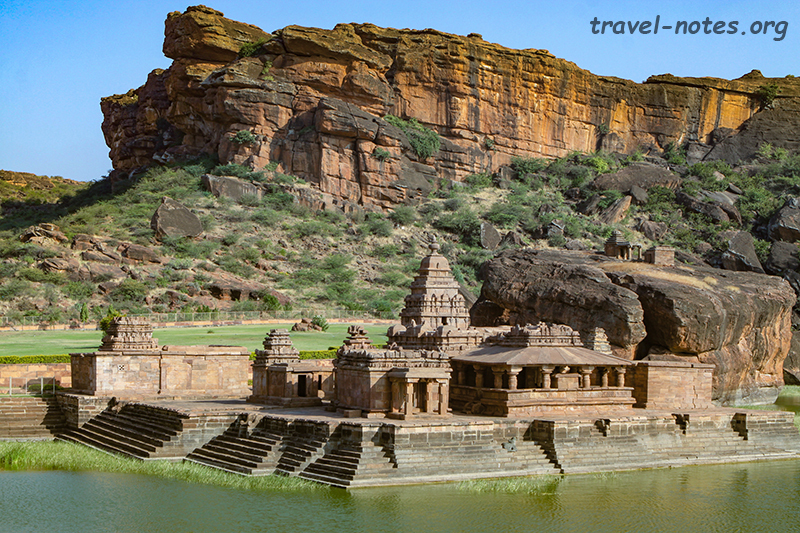 Click here for more photos from Badami. 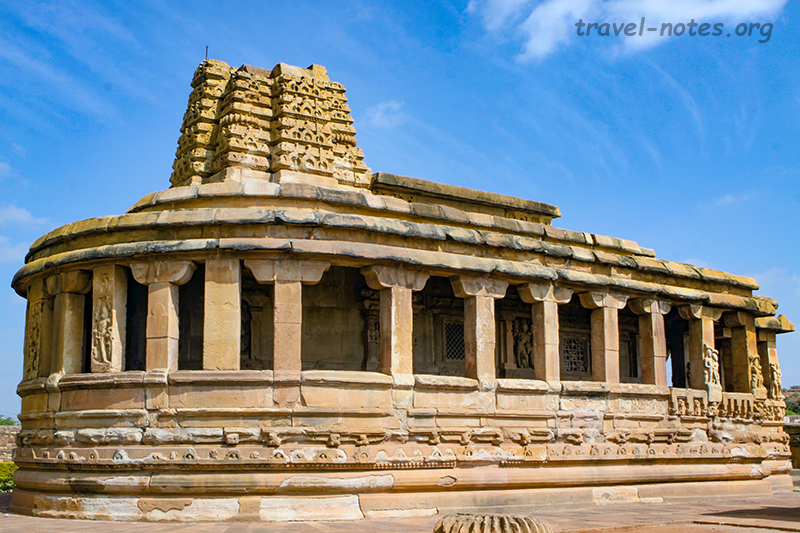 Click here for more photos from Pattadakal and Aihole. Click here for more photos from Hampi. Click here for more photos from Mysore, Srirangapatna and their vicinity. Click here for more photos from Belur. Click here for more photos from Halebeedu. Click here for more photos from Somnathpur.